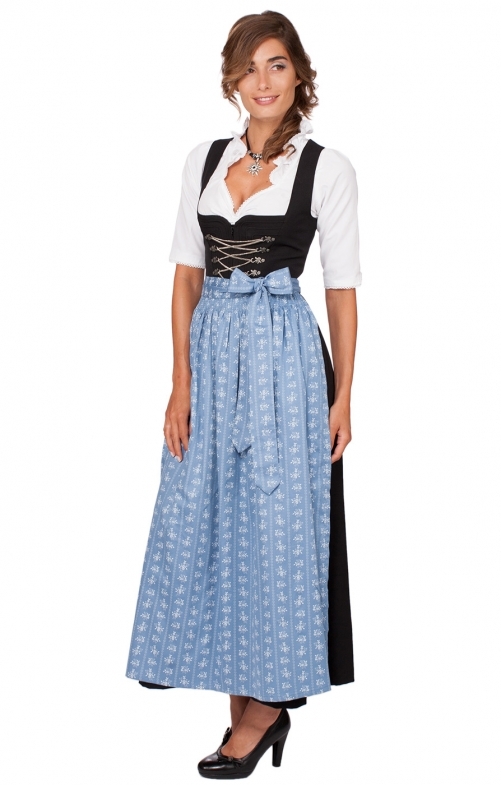 Traditional women's Dirndl apron in blue. A classic item in our Dirndl shop, this longer-length apron from Stockerpont is made from high-quality 100% cotton for comfort and durability. The sky-blue fabric features a traditional floral print; the apron is gathered at the waist with shirring and a sash in the same material completes an authentic Alpine look for Oktoberfest. Sehr gute Qualität und Farbe. Qualität und Verarbeitung prima, Farbe sehr schön.